Classic numismatic design has its roots in the ancient states of Athens and Rome. Today, this unparalleled tradition continues in the modern city of Rome at the Instituto Poligrafico Zecca dello Stato (IZPS), the Italian State Mint. As Italy celebrates 150 years of Unification in 2011, Michael Alexander of the London Banknote and Monetary Research Centre speaks to Angelo Rossi, Director of the IPZS about its past present and what’s in store for this prime producer of classical European coinage. For many world coin collectors, the coinage of the many Italian states before unification and those of Italy are considered among some of the most beautifully designed with classic renditions of historic persons, legendary and allegorical figures. 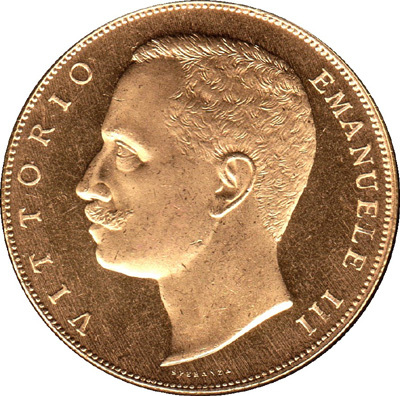 Italy’s longest serving head of state, king, Victor Emanuel III (reigned 1900 – 1946) took a particular interest in the coinage of a unified Italy as he was a keen life-long coin collector. The former king’s collection was world renowned for including some of the most extraordinary rarities, (including some of the coins issued under his reign with his portrait) and much of it is on display in the Roman Museum to delight dedicated numismatists. Italian coinage has continued to carry on the long established tradition of classically designed small works of art which can be seen throughout their designs. Should you find yourself in Europe’s Eternal City, I can heartily recommend a visit to the Roman Museum as well as the Temple where the first Mint is said to have existed, a veritable plethora of homage to our beloved activity. Like so many countries in Europe, there was an extensive history of coinage before the modern state was founded such as Italy. The Instituto Poligrafico Zecca della Stato is a little over 80 years old, can you give our readers some background on how the IZPS came to be? Of course you know that the City of Rome has been producing coins steadily since the fourth century and the site where it all began was on a temple which was itself called the “Juno Moneta”. The second word itself originally derives from Monere meaning “to warn” and it is this origin at least for Latin languages where the word for coin is derived. According to tradition, the first Roman mint was established in 289 BC so yes, in this regard, you’re correct, the history of coinage and the state of Rome do go back quite a long time, much longer than the modern Italian state. The Instituto Poligrafico is over 80 years old but, the first purpose-built Italian Mint building itself celebrates its centenary this year since it was formally inaugurated on the 27th December 1911 in line with the country’s 50th year anniversary of unification by King Victor Emanuel III. Its location is on the Via Principe Umberto and the administrative offices and some archives are still housed there. The State Mint was combined with the State’s printing works in 1978. So, prior to the establishment of these facilities, where were Italian national coins produced after unification? At the time of unification in 1861, there were functioning Mints in Florence, Milan, Naples and also in Turin (which was the first capital of the newly unified kingdom) that were left over from when these regions were independent kingdoms or states. The Papal Mint in Rome which was located in the same place where it had been set up in 1665 by Pope Alexander VII in Fondamenta Street, a building close to the Vatican Gardens and St. Peter’s Basilica and by 1882, was the only location where Italian coins were produced. It was this facility which was transformed into the Kingdom’s primary Mint when it was taken over by the Italian Treasury and after Rome officially became the country’s capital. The Government of the day announced in 1901 that they were going to build a new larger facility and modernize production. So, an agreement was reached to sell the old building which housed that original Mint back to the Pope in 1904. Until 1978 the Mint had belonged to the Treasury, then we became a division of the Istituto Poligrafico, which is the Italian Government Printing House, and henceforth the name was named Istituto Poligrafico e Zecca dello Stato came into use. In 2006 a more modern minting plant was developed at Via Gino Capponi, close to Appia Road where you’re visiting today. Regarding Italy’s first coins, I’d like to look back at one of Europe’s most well known past currencies, most notably the Lire, when was it introduced into Italy? The word specifically is derived from the Latin “Libra” or pound. This monetary system was first introduced in Italian territory after Napoleon’s campaigns which included the eastern and central part of Italy as well as the northern part with Milan as capital.It is also a continuation of the Sardinian Lira since theirs dates back to around 1816. At the time of Italy’s unification, there were several currencies in use which included the Venetian pound, the Two Sicilies piastra, the Tuscan fiorino, the Papal States scudo and the ducat of Naples & Sicily. Several of these currencies had sub-divisions and were probably a little confusing outside their territories. Another aspect of the need to unify the national currency was that Italy was a founding member of the Latin Monetary Union so the need to form a stable national currency was really essential. King Victor Emanuel II proclaimed in 1862 that the currency of the unified state would be the Lira and it remained the national currency until it was replaced by the Euro in 2002 so officially, it was in use for just under 140 years. King Victor Emanuel III was a keen numismatist and his collection was world renown, how much if anything did he have to do with organizing the Italian Mint and if so, what was his function? Well, quite a lot really. The King chose the location for the new facilities, commissioned the construction and officiated at the opening ceremonies himself. What isn’t particularly well known was that as a boy he often used to visit the mint in Rome, and one specific visit was documented on the 22nd December 1882 when he was only 14 years old. So, it’s probably when and why his technical and artistic interest in coins was awakened and why he had so much involvement in the first purpose-built Mint for the Italian Kingdom. That location is the building on Via Principe Umberto and now houses the Academy of Medallic Art which was itself founded in 1907. Previously it was the only location for monetary production and workshops. It also housed the Mint Museum and as such, it created a comprehensive factory, a museum, and art school in one location. Italy’s last commemorative crown was issued in 1911 coincidentally, for the 50th year of unification, and the last 20 lire coin of a similar diameter was struck in 1936. Crown coins are so popular with collectors, so why did Italy discontinue the minting of large silver coins? Quite simply, the need for these larger coins was no longer economically practical. For Italy, the production of the large five Lira coins was more of a necessity in commerce rather than just for commemorative purposes. 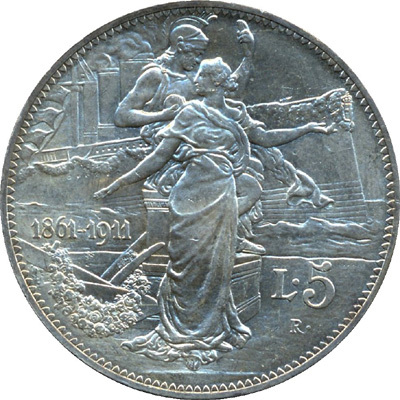 The last large silver five lira coins were produced was in 1914, just before the beginning of the First World War when over 270,000 pieces were produced. With the discontinuation of the Latin Monetary Standard after the War, the Italian Lira’s exchange rate was changed considerably, and the lira was reduced to 1/5th of the value before 1914. 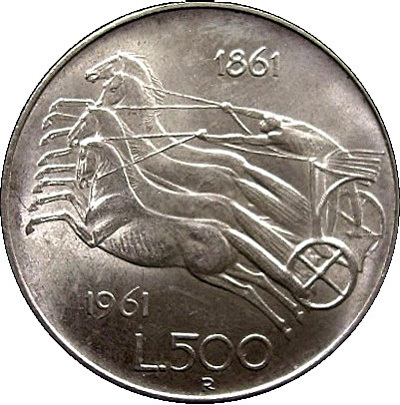 With the issue of new silver coinage in 1926, 5 and 10 lire coins were introduced, which were equal in size, weight and fineness to the earlier 1 and 2 lire silver coins. Larger silver 20 lire coins were added in 1927 but they were only 15 grams in weight and had a lower silver fineness than the two smaller denominations. The coin you mentioned, the 1911 5 lire “Cinquantenario” is considered one of the most beautiful coins minted at the beginning of last century. It was modeled by David Calandra and engraved by Luigi Giorgi. The 20 lire of 1936 you also mentioned represents an impressive example of coin modeled by Giuseppe Romagnoli and engraved by Pietro Giampaoli. Romagnoli was incidentally, the first Director of the Academy of the Medallic Art and produced a total of 69 coins both for the Italian Kingdom and for the Italian Republic. The Italian Mint released the first bi-metallic circulation coins ever in 1982 with the issue of the 500 lire coin, how long did this process take to develop and what was the technology involved? The production of this innovative technique was initiated by the former Mint Director, Nicola Ielpo and the designs were developed by the Academy of Medallic Art’s Director, Laura Cretara. In 1981 after the technical feasibility of these innovative coins had been assessed, the IPZS filed a patent and the tools were ready at the beginning of 1982. The coin was also officially presented at the XII Mint Directors Conference in Lisbon that same year. The new coin merged two different metals in color and composition and also introduced the indication of the value in Braille characters. At the beginning of this process, the two pieces had to be pre-assembled, with a second step to devise little crevices on the internal rim of the external ring, which contrasted the internal core of the coin. Later on, it became possible to both assemble and strike the coins at the same time. Schuler, the company providing the monetary presses, set up a device to carry out this operation. This coin was also produced not only for Italy’s use, the IPZS produced this new coin for other countries as well. So, as far as modern coinage is concerned, yes, our Mint was the first to produce a bi-metallic coin for general circulation and it was big news at the time. The Italian Mint strikes coins for two other states, San Marino and the Vatican, and there is a very great similarity to these designs to Italian coins both with the lire and with the EURO, will collectors ever see abstract or contemporary designs from any of these authorities? Since the Italian Mint began the production of Vatican coinage from 1929 and San Mario coinage since 1862, the coins from these authorities were inter-changeable with Italian coins as both treasuries used the Lira system. I think their look is due to that shared monetary system and simply due to our tradition in craftsmanship. You visited our design studios today so you saw for yourself the traditional approach that the designers, engravers and artisans take. I think for us, to take a very contemporary approach to numismatic design here at the IPZS, the attempt might fall short as we are so well known for the classical approach with the results being those designs which are easily recognized as those from the workshops of the IPZS. Perhaps it’s a situation of “do what you do best” and for us, it’s the more classical approach. Having said that, it is always their prerogative if the treasuries San Marino or Vatican would like a modern design, I can tell you that the two states sometimes do avail themselves of artists not belonging to the Italian Mint, but often they are former students of our Academy of Medallic Art! 2011 is Italy’s 150th anniversary of Unification is what brought me here to speak with you today, can you tell our readers what has been done by the IPZS to mark the national event? Yes of course, the IRZS issued a new five Euro silver coin which marks the anniversary, and also a circulation two Euro coin was also minted which carries the official national logo or insignia for the anniversary. The two coins will be offered in the annual proof and mint sets and the coins are also available individually. This coin is the third time that Italy has issued a coin to mark an anniversary of Unification. The first being in 1911 for the nation’s 50th anniversary and again in 1961 when the Italian union turned 100 years old. 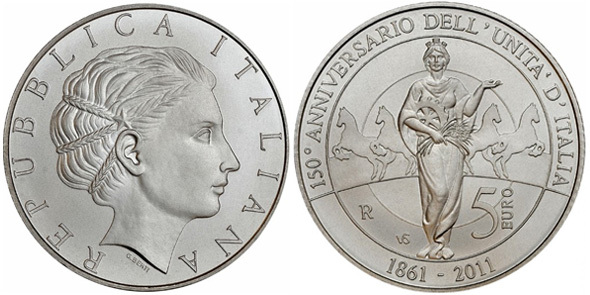 The obverse of the coin depicts a rendition of an allegorical female figure in profile and the reverse design carries the commemorative inscription of “150 ANNIVERSARIO DELL’ UNITA D’ ITALIA” with the years “1861 – 2011” This coin will be available separately and in year sets. You’re rather new as Director of the IPZS, but I think many collectors might want to know if you also collect coins or are an enthusiast. If so, what coins are included in your collection? As you know, prior to taking on the position of Director, I was in the field of printing and head of production here at the IPZS, I was also coordinated the move to these premises in 2003 and I was also in charge of circulation coin production, more on the technical side of things you might say. Since I became Mint Director last year, I have become much more interested in all of our coins so, little by little, I am collecting! I also have four children and I do hope that some of them will become active collectors, new collectors really… we do need to encourage new collectors! We at the IPZS do have a new marketing project to speak to children in primary schools to encourage them to collect with special programs aimed at a younger audience. Ultimately, it’s the people and culture themselves who are reflected on coins so I think the work we are doing with the schools will eventually, be very beneficial. 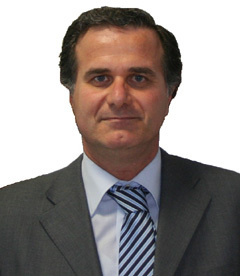 Sr. Angelo Rossi, Director of the Instituto Poligrafico e Zecca dello Stato, Thank you very much for your time today. I would like to thank Maria Rosa Villani, Director of the Academy of Medallic Art for providing translations, background and historical facts pertaining to both the Italian State Mint and the Academy of Medallic Art, it is greatly appreciated, My thanks also go to Ms. Ameila Travaglini for all of her assistance in arranging my day at the IPZS. Italian State Mint mint coins of Republic of San Marino and Vatican City as well as Italy. So what other countries does this Mint make coins for beside I mentioned? The Italian State Mint (IPZS) take commissions from private companies as well as from other Central Banks for special commemorative coins. Vatican City and San Marino are their more permanent client / states which they have had an association with since just after unification in the case of San Marino and since 1929 for Vatican City. The IPZS have also struck prototype coins for the United Future World Currency earlier this year. A special medal was struck in May for the beatification of Pope John Paul II which the IPZS was appointed to retail. The silver examples sold out immediately but there are some bronze examples available.